If there are some from this list you haven't seen, I would strongly encourage you to see them, but please purchase the movie. More and better quality Christian movies are made based on the cold, hard cash incentive. 2004's The Passion of the Christ was a massive box office success, which spurred on a slew of new Christian movies over the next decade when movie studios realized there was money to be made. I am excited about the next six months as we'll be blessed by what appear to be six very well done films. Please go see these in theaters. Some of them have limited theatrical releases and based on ticket sales, film distributors may expand showings. It's going to take Christians showing up and encouraging their friends and family to show up as well. 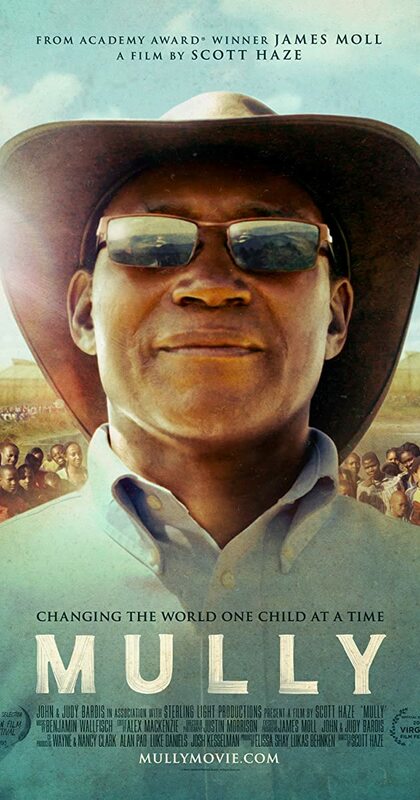 The true story of an orphan in Kenya who rises to great wealth and then spurred on by his Christian faith, sets out to save countless orphans in his home country. The movie had a limited theatrical release and won a number of best pictures and other awards from various film festivals. Because of its success it will be back in theaters on November 9th. The true story of a Dallas art dealer who befriends a homeless man in order to save his marriage. Miraculous events ensue as his wife comes near to death. The book was a huge success and the movie has an all-star cast. This is one I've personally been trying to generate excitement for. 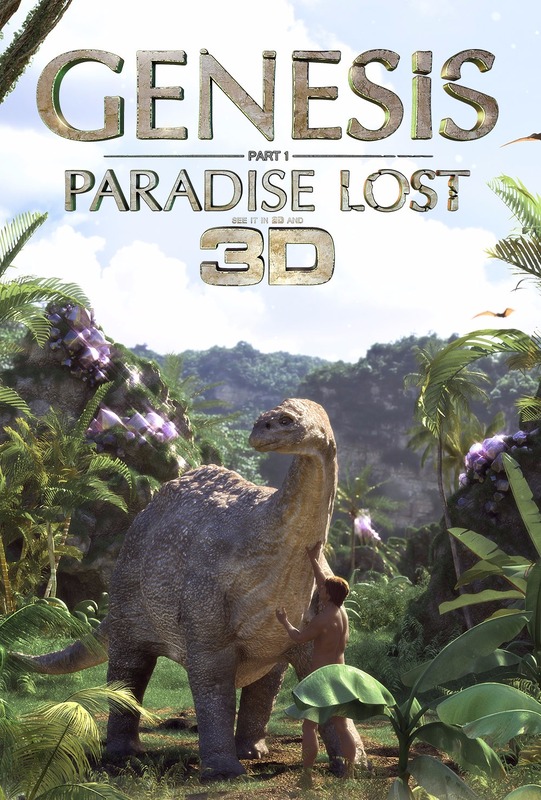 Funded entirely by donations, this 4+ year-long project is finally set for release next month and is promising to "wow" with Disney-quality CGI scenes from Genesis 1 and 2 thanks to an ex-Disney CGI designer with a great love for the LORD who devoted years to the project at great personal time and expense. Kent Hovind's son in league with Answers in Genesis managed to score a major deal with Fathom Events allowing for a nationwide release at 1,300+ theaters on November 13th. If pre-ticket sales are good, Fathom may give the movie additional days in theater. That's a big if. Christians have to show up and better yet, purchase tickets early. You can get your tickets here (I already have mine!). 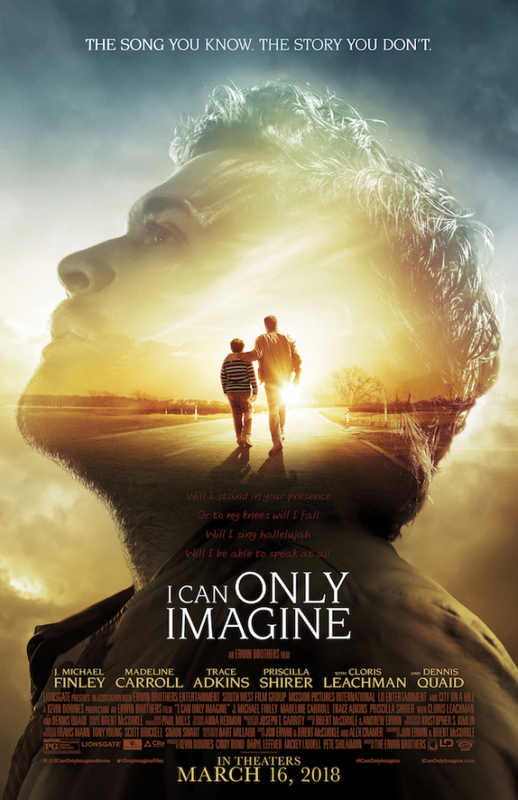 Staring Dennis Quaid, this is the true story of Bart Millard, the lead singer of MercyMe, whose broken childhood led to the development of a career that would reach millions with the Good News of Jesus Christ. This is the story of how his abusive father's life was transformed by Christ and how that transformation was passed down to Bart. 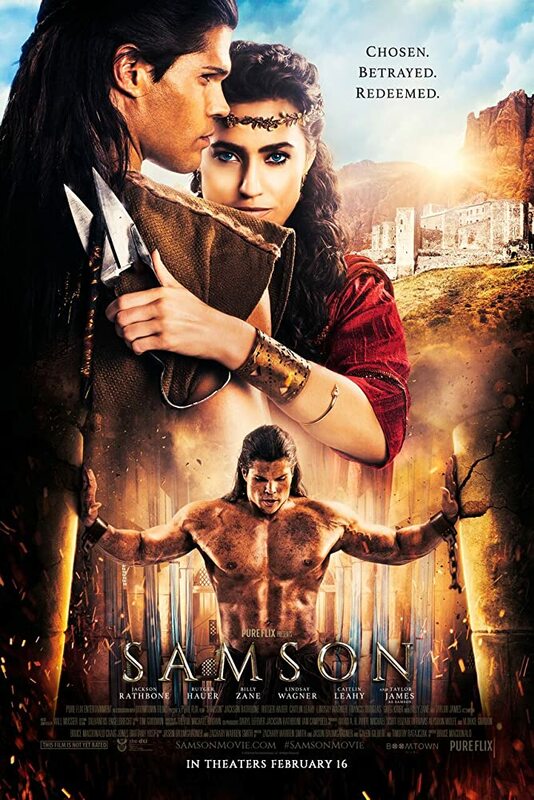 In the unlikely event the Church is still on earth in 2019, we can expect Mel Gibson's official sequel to The Passion of the Christ that year, which is tentatively titled Resurrection. The Story of the first Christmas? Kidding right? I don't have time to watch a lot of movies, but I recently saw Hacksaw Ridge on my flight from the States back to Taiwan. I thought it was terrific--highly recommended! Yes, Hacksaw was very good! True - Neeson's was quite excellent. His candlestick scene will always be the best. There is also a movie that I saw a little bit of that I'm pleased to see NOT on your list: Son of God (2014), starring Portuguese actor Diogo Morgado in the titular role. I don't know if it's not on your list due to an oversight or by design, but I'd like to think it was by design. It may have some good scenes, but I don't know because I couldn't finish it. "I've come to change the world." No He didn't, He came to *save* the world. He's not a super hero; He's the Son of God, as the title proclaims. Maybe it's a little thing, and all due apologies to anyone who enjoyed this movie; but that one line just irked me to no end and it ruined the film for me. Somehow I completely missed that one. It received good reviews. Here's the trailer if anyone wants to see. I thought Risen was REALLY well done. Yes, I really liked that one. I saw it in theaters. Very impressed with the casting and cinematography. The only part I thought could have been improved was the ascension - I don't know what happened there. I would have included my favorite. Jesus of Nazereth, the 1977 movie with Robert Powell, the best Jesus character in my opinion. He has the look and personality that I think is like Christ. Still watching and waiting. Thank you for the list! A couple more to add, Son of God, I thought was very good, as well as the whole The Bible series ( I have not seen the follow up AD). The Song is supposed to be very good as well, it's about the Songs of Solomon. I keep waiting for a chance to watch it with my husband but 3 small kids make it hard! I didn't include shows and mini-series in this list, but that might be good to include. I disagree. Most of these movies should not be watched. I know it's CS Lewis but c'mon the lion THE WITCH and the Wardrobe? A paganistic allegory for our Holy God? Heathen trash. Several of these films are by Hellywood producers, in addition some on this list are riddled with blatant occult symbolism. I don't imagine watching the majority of these films will last the fire at the Bema Seat. Well, to be fair, the witch *was* the "bad guy" in that book, a type of Satan. But on a more fundamental level, I share your antipathy toward C.S. Lewis. He was Anglican, and believed what is essentially a lordship salvation "gospel". It comes through in the whole course of the C. of N. and other books he wrote. How about the Robe (1950's) with Richard Burton - this one is worth a look - about a Roman Centurion who was on the detachment that crucified our Lord, and his journey to redemption. What about "Heaven is For Real"? I loved that movie. Saw it twice in as many days at the theater! Would you consider it a Christian movie worthy of the list? Personally have mixed feelings about Jesus/God being represented by actors, based on the big screen, or "portraits of Jesus". I feel as though this was included in the 10 Commandments for our own good. Aren't they all? False misrepresentations lead to lasting false images that are extremely hard to "unsee". The portraits always creep me out, and never make me feel as though they represent the Son. It's likely this likeness of him will probably closely resemble any false Christs that show up in the future, i.m.o. Not trying to be a Debbie-Downer over here, as I appreciate good wholesome entertainment. 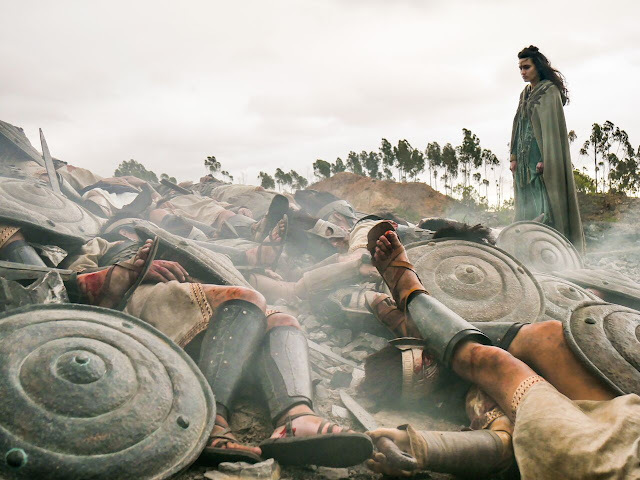 But I feel we have to be even more careful if it is a supposed representation of Biblical stories. Especially considering the overall lack of Bible-reading taking place these days. Most may never think to discern truth from lies. And t.v. productions tend to be more entertaining to most, compared with opening the Word. I've even caught myself questioning whether I got certain facts right simply because of the liberties taken in these productions. I do recommend October Baby, which I didn't see on the list. Great story of a child who "should have been aborted". And good-quality. I also just saw The Case for Christ. Lee Strobel's testimony is a good one. Scripture states God has given man *dominion*. And, eventually, dominion over ***all things*** God has created. That requires a bit of intellectual capacity. It is beyond debate God creates all things via laws that can be depended upon. Spiritual laws and physical laws. Man using his God-given intellect can discover for himself what these laws are. The earth is at least 4.5 billion years old, dinosaurs lived tens of millions of years before humanity arrived on earth, and none of that conflicts with scripture in the least bit. Rather, it is quite the contrary - it supports scripture. Galileo had his problems in his day and today the same opposition still exists. I always liked "The Little Drummer Boy". That song, sung by the boys choir, always gets me. Peace to all! The best piece I've ever watched and would really call it "Christian" is the GOSPEL OF JOHN (2003) because the whole textbook is the pure bible text only. I watched it the first time shortly after being saved like the blind man in chapter 9 in 2005 on YouTube. I purchased the DVD later and found out from the bonus material that sadly probably none of the main actors nor the director Saville or the composer of this wonderful music was saved because I watched all their interviews carefully and what they told about their motivation to make this movie and personal beliefs. I was stunned how God let man create such a brilliant masterpiece of filmmaking but the makers themselves not truly saved at all. I heard of the main character H.I. Cusick he didnt get a follow up engagement for 2 years. I thought well, God gives an opportunity to turn to Him to every actor too. But obviously, Cusick didn't care. So sad. This showed me you can even quote scriptures word by word and learn them by heart and not come to know God... That's how dead you are in transgressions. Personally, I admit being currently more attracted by desaster movies such as "2012" or "Geostorm" (LOL!) because of their realistic world view in the imminent Day of the LORD... MARANATHA! Just watched "The Shack", most excellent. I am not watching the shack. I read the book and couldn't believe how heretical it was. Now I hear some Christians saying they are 'studying' the movie. It breaks my heart. Might be a feel good movie but it's just evil to twist doctrine and so many Christians are not reading their bible they don't even know it's incorrect. There was another South African movie called "Hansie" which was also good. It was the story of Hansie Cronje, who was the captain of the South African Cricket team. It's the story about how he got into trouble with match-fixing and how he was the first cricketer to public admit his wrong, apologize, repent and life after.